Myrna and I had a great trip as we had planned it. The guides and drivers were all friendly and excellent at their job. We liked the hours when the guides were with us. Starting at 10 AM was a perfect time because it made for a leisurely day. Just what we wanted. All the drivers and guides were on time and it is a really good service to be met at the airport and taken to the airport when returning home. We saw most everything we wanted to see. Victory Day was somewhat disappointing as no one seemed to know where to go for the peoples' parade with their photos of loved ones lost in the Great War. Even locals were asking us where to go. We did see many people returning home after the parade and that was interesting. We could not get to see the official military parade as only people with permits were allowed into Red Square. 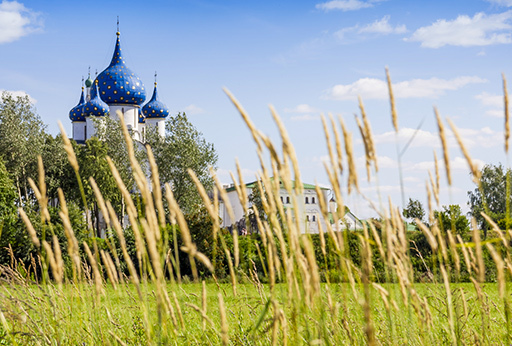 The few days in Suzdal were well planned for the most part. We wanted to see some small villages to see how the people live in the country. This was partially ok but it seemed hard to find the old, abandoned houses of the past two centuries, We wanted an opportunity to photograph them. Mostly we photographed from the highway but did have lots of opportunities in Suzdal itself. St. Petersburg was as we hoped for and the weather even graced us with warmth, sun and blue skies. The evening boat rides were again a highlight and especially for Myrna as she did not go on the boat ride in 2014 as she was sick that day. The excursions outside St. Petersburg were enjoyable for us. We wanted to see something more of Russia than the big cities. I would not make any changes to our itinerary for this trip as it is what we wanted. Maybe it would be a better choice to go in June for better weather. It was very cold and rainy in Moscow. I could recommend all of the trip to anyone looking for places to see in Russia. And, I completely recommend Travel All Russia for any one planning a trip to Russia. I certainly can recommend a trip to Russia for anyone looking to learn more of the world and to experience the Russian people, their history and especially Russia of today. So many people still think of Russia as the USSR but enormous changes and progress has come to Russia since the revolution in 1991. Its past time for the world to know Russia of today. The Russian people are all friendly warm and welcoming. They appreciate visitors who like them and respect them and their fabulous country. 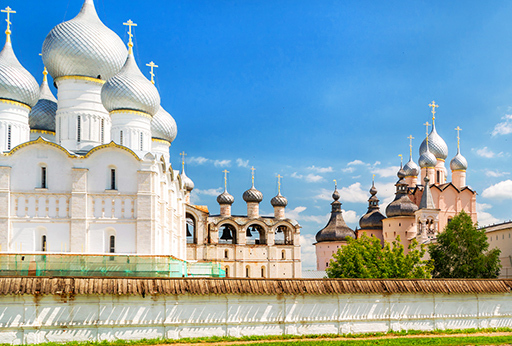 There is so much history, art and beauty in Russia for people to experience, Go for it.